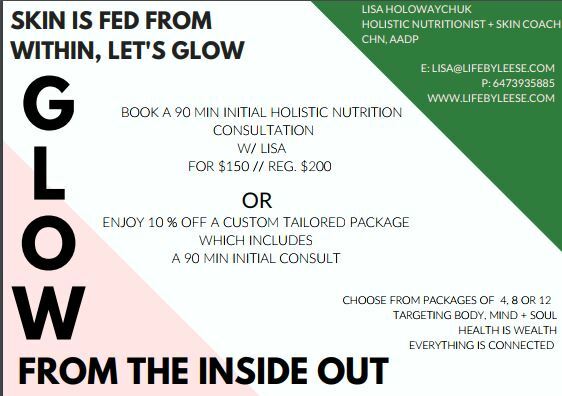 Lisa is a certified Holistic Nutritionist, Integrated Health + Skin Coach. 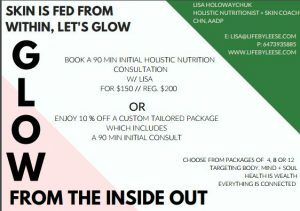 Through exclusive & individualized services including nutritional counseling, holistic lifestyle changes, meal planning, goal setting, and life coaching, she custom-tailors services to each client while providing education on how to live their most optimal life. With a diploma in Social Work from the University of South Africa, a Fashion and Business Marketing diploma from the Fashion Institute of Technology in New York City, a Holistic Health Counselor Certification, CHHC, through the Institute of Integrative Nutrition and certification under the American Association of Drugless Practitioners, AADP where she is a board certified Holistic Practitioner and now a practicing Holistic Nutritionist through further education, she is ready to take her extensive education and experience to help patients truly glow from the inside out. It was while enduring over six years of illness, seeing countless medical specialists, and undergoing tests with no answers or diagnosis that her thirst for nutrition, healing, and health ignited a flame within her that hasn’t and will never stop burning. Over four years ago Lisa came to her own diagnosis of Lyme disease. 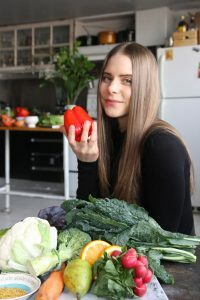 After medical tests confirmed a chronic case, she began healing herself naturally through nutrition, lifestyle practices, and mind/body connection. She has experienced what many of her clients have been through and is both empathetic and grounded in her knowledge and treatment of them. 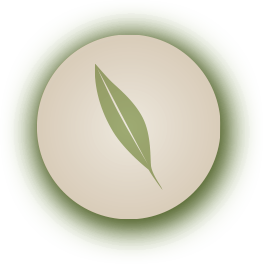 Combining her knowledge of the human body with her training in holistic health, Lisa is able to structure more comprehensive health programs with her clients both in Toronto and around the globe. Lisa’s work is never surface level, as she digs deep to truly understand the individual as a holistic whole. Her sessions are personalized, as she values each unique mind, body, and soul and goals of her client. She is the founder of LIFEBYLEESE, a Holistic Nutrition + Lifestyle Consulting Company. Skin disorders – Healing the skin through food, diet, supplements and lifestyle. Finding your glow from the inside out! Gut health – The gut is the second brain, so when it’s out of balance and not happy, you will find it hard to glow + reach your goals! CALL NOW TO BOOK A SESSION WITH LISA!